Photographed by Regan Morton for BANDD DESIGN. While 3D printing is beginning to make waves in the decor space, the new technology is now here to shake up home construction as well. Houses normally take months to build with lots of manpower, time, and resources used. 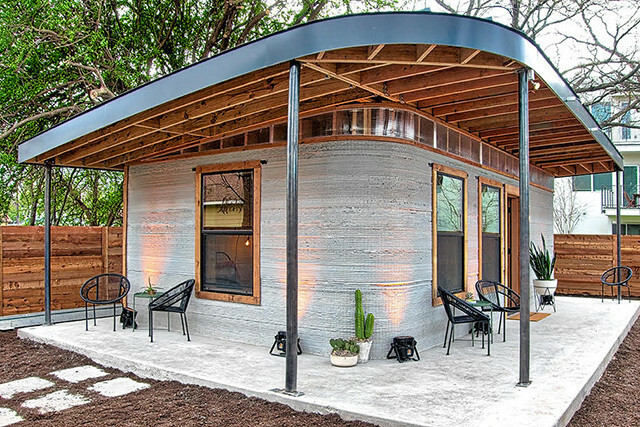 Well this year for SXSW, ICON built the first ever 3D-printed home in America — in under 24 hours. 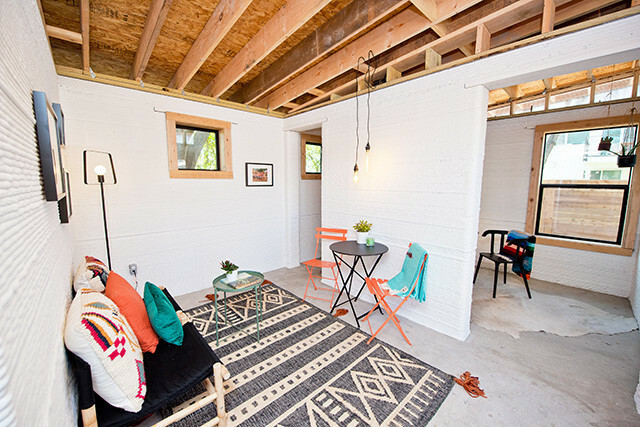 Constructed out of concrete, the 650-square-foot single story abode is actually a collaboration with New Story, a non-profit that hopes to use this model to create housing in underdeveloped communities internationally! BANDD DESIGN was called in to perfect the small space with furniture and decor fitting for its Austin locale.